There isn't to much new info in this one, but it's still fun to watch enjoy!! Sometimes these videos all seem the same, so if I post one again I'm sorry, lol. I'm sure this isn't new to you guys, but I was away, so it's new to me! 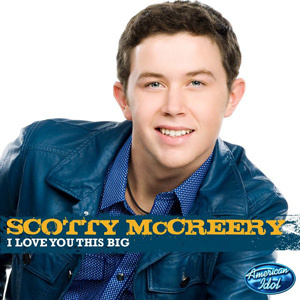 Scotty has moved up to 22 on the charts! I said he had a shot at his first top 20 song!! It's moving right along! Can't wait to see where it is next week! 16 adds and in some major markets-Nashville, Philadelphia, Denver, San Antonio! This makes 153 stations in 3 weeks. He really has a chance at top 20 by next week if things keep up this pace!! Lets hope!